Air Fab manufactures access platforms, ladder platforms and workstands and have manufactured everything from small step stands to full Aircraft body docking /staging. Thanks to Bill and the rest of the team at Sunstainable. From the moment of first contact, Bill paid attention to what we asked for and came in with a competitive quote and great advice for a system tailored to our family’s needs. From the moment I started talking to Bill to getting the panels installed took less than 2 weeks, how’s that for efficiency? Meanwhile some other companies are still yet to send me quotes or answer my questions. The job itself is top notch and even better than what was originally planned prior to the site inspection. The installers were professional, polite, friendly and efficient and were in and out in less than 4 hours. They even called the inspector who came within half an hour of the job being finished. They explained all the inner workings of the Fronius inverter and how to get the best out of our investment by staggering the running appliances. All in all a wonderful experience and a few laughs with Bill, the charismatic Sales Manager who won us over with the friendly attitude even more so than the great price! I just wanted to send you a short note to say thank you for the great solar power system that your company installed last Friday. The information that you provided to me before I purchased the system was detailed and accurate. Your team did a great job of installing the system, they used quality equipment, were courteous and professional at all times and kept me fully informed every step of the way. Thank you for a smooth and quick installation. I will definitely use Sunstainable again for any future solar system installations. I had a very steeply raked tiled roof (45 degrees) on a double storey house in Melbourne which would have been a nightmare to install. Sunstainable had installers who did a sensational job despite the difficult roof. Very happy with the tidiness of the job, even the neighbours gave me compliments. Sunstainable sold me a top notch system at a very very competitive price and also replaced my 40 year old switchboard with a new system. Very happy with the experience from start to finish, and therefore I am super happy with this company. The company has been around for the last 10 years, so they are in this business for the long run. The information that you provided to me before I purchased the system was detailed and accurate. Your team did a great job of installing the system, they used quality equipment, were courteous and professional at all times and kept me fully informed every step of the way. 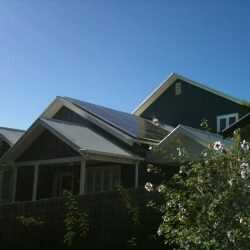 I have just had a solar system installed by sunstainable and have had it inspected by two of my son’s in law and they both have systems with other companies, they and I too am impressed by the installers who were very helpful and gave me advice on electrical and solar matters I didn’t even ask for, as for workmanship it was professional and neat and they had the job done in no time. I found their products to be of top quality and Sabreen’s customer service was outstanding, so if you are considering Sunstainable I would gladly recommend them. After many months of research and seeking quotations, we decided to sign a contract with Sunstainable and so far we do not regret it. There were no hidden extras or possible extras, as it was the case with most of the other quotes. The total cost was exactly as it was quoted. From the time of signing the contract the installation was surprisingly quick and on the exact date promised. 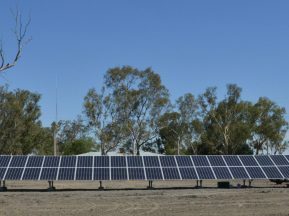 We were particularly impressed with the two installers, who despite travelling over 300km did the installation of 3kW in one day. They were very professional without taking any shortcuts and the quality of work could not be faulted. We appreciated their friendly disposition and any questions we had were answered without hesitation. All the paper work for inspection and installation of the solar meter was processed without delay by Sunstainable and their installer. Inspection was done within a week from installation and the solar meter installed within 4 weeks. Our system is operational since 1 June and we are happy with its performance. 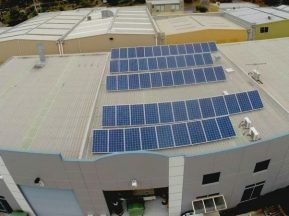 We would not hesitate to recommend Sunstainable Pty Ltd to anybody considering installing a solar system. 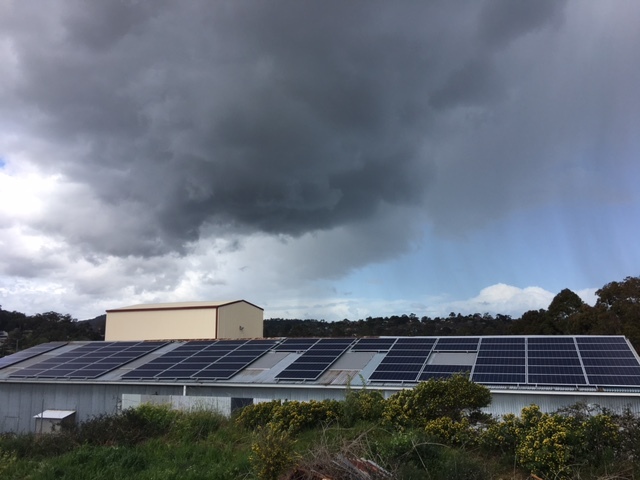 Hi Mal, I was down at the beach last week and for the first 46 days the system has averaged about 24kw per day. Considering what the weather has been like, I was pretty happy with that and it even cranked out 24kw on Saturday when the sun was only out for about 10 minutes in total. We would like to thank Sunstainable and the installation crew for their advice, professional service and the quality of the workmanship. 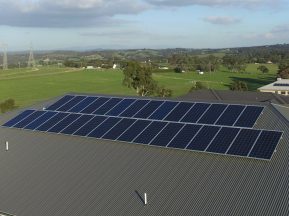 It is also great to start to see the benefits of the choosing solar with our energy generation exceeding our usage almost every day and we will definitely recommend Sunstainable to any friends or relatives that are considering solar. 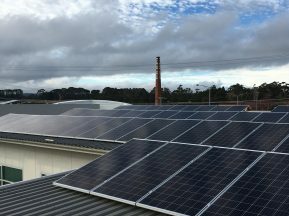 Sunstainable installed a 35kW solar plant on our two adjacent engineering factories in October this year. We have been more than delighted with the excellent service and attention – from the initial analysis of our energy usage and requirements, presentation of options, and the quality completed installation. Bill and Izy are to be congratulated for their efforts. 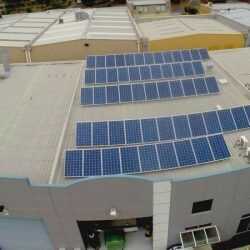 I have no hesitation in recommending Sunstainable for commercial solar applications. These guys are all over it!